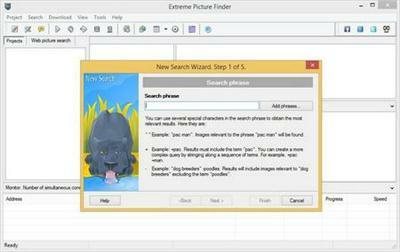 Extreme Picture Finder is a powerful web image downloader. It can download images, music, video or any other files from any website automatically and very fast. Simply enter the website address, choose what files to download and where to save them and let Extreme Picture Finder do the rest for you. And you can instantly view the downloaded files in the built-in image viewer. The program can be configured to download images even from password-protected or TGP websites. Using advanced settings you can make Extreme Picture Finder skip certain parts of websites, like entire folders or single pages to make the download process even faster. Don't know where to start downloading? Extreme Picture Finder offers a built-in online projects database with thousands of website addresses sorted by category: Desktop Wallpapers, Cars, Girls, Nature and many, many others.